So, I have been mad busy with THINGS and have not had nearly enough time to play with my Sims or build lots. But I did just finish a lot requested by Val. It is a city block for Bridgeport with a fancy restaurant and a coffee shop next door. 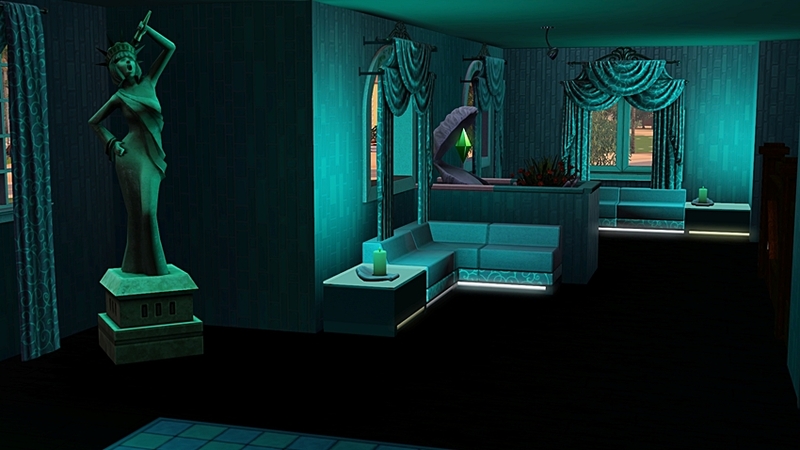 The corner building has been left empty to accommodate… whatever Val desires. This is the first lot I have made in forever. 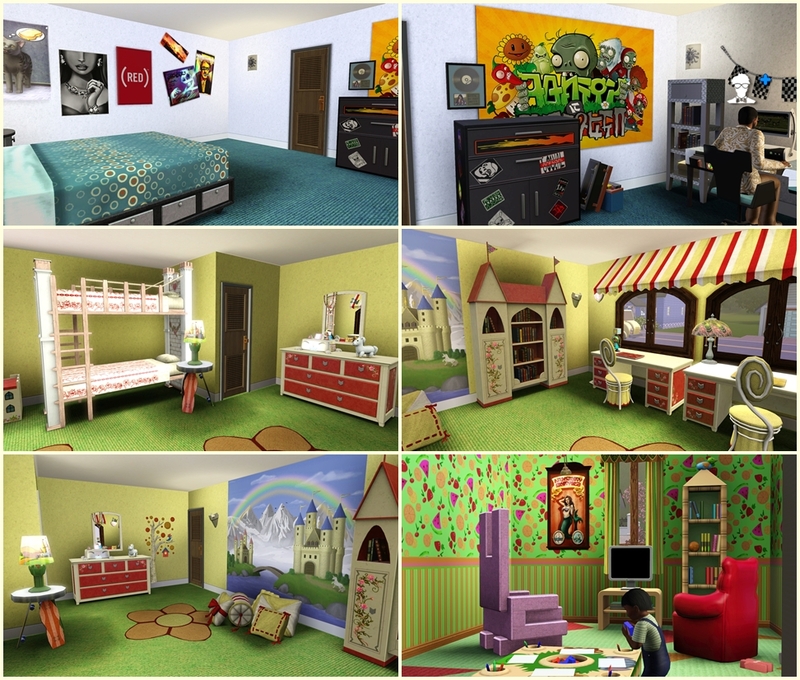 It was for a challenge at Miss Crumplebottom’s Attic to build a house for a family of 4 with at least 1 child. So I made a house that fits nicely in Friendship Cove. It is a Dutch Colonial with 2 BR and 2 BA. Here it is. 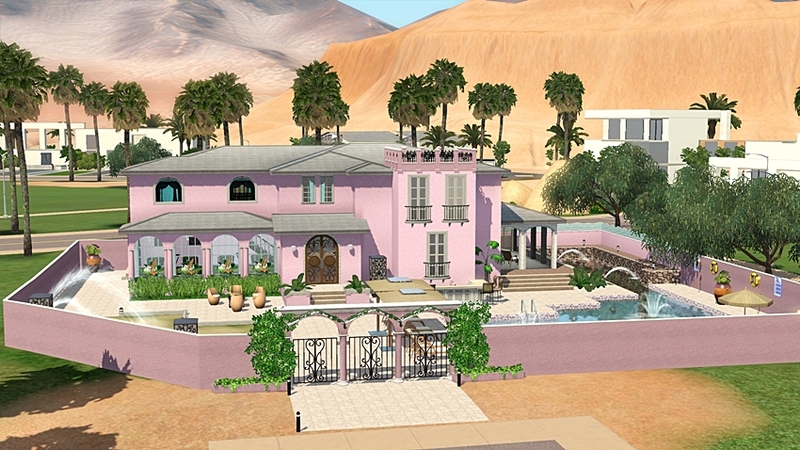 I made this house for the coastal Living Challenge at N99. 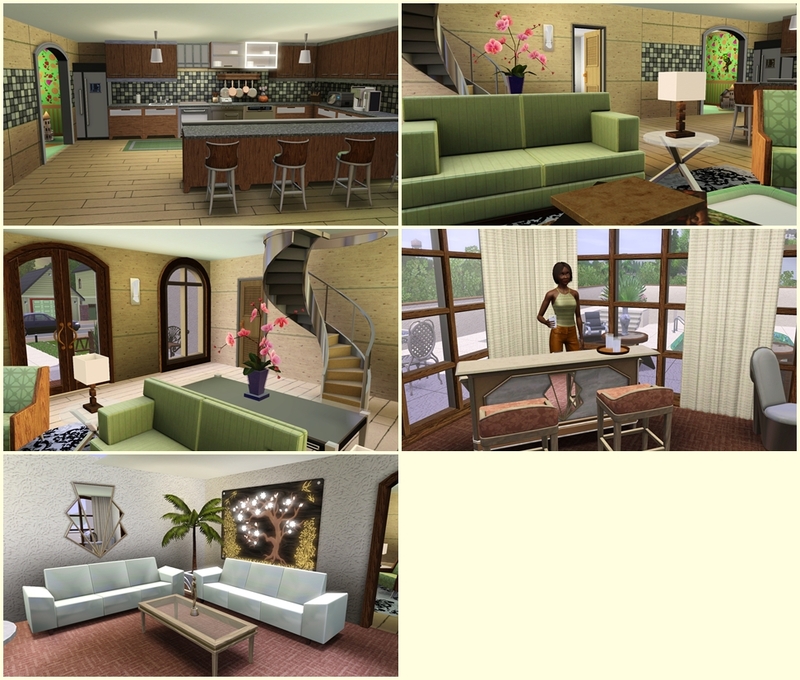 The challenge is to remake any EA house in an open, easy coastal style. The contest is still open if anyone is interested Check Here. There is a great participation prize set made by Sandy at ATS. I chose a house from Riverview to remake — the Toy Dachshund. I liked that it had a such a large side yard for entertaining. I decided not to change the outside walls, but I did change everything else, and I added a deck on top of what used to be the garage. 30×20 lot. Uses Store Stuff and I have all EPs and SPs. You can download it here..
Made for Friendship Cove, the Bootlegger’s Boardwalk is a 45×64 Beach lot with tons to do. There is a spa with sauna and massage table, an arcade, a Nerd Shop, a (decorative for now) clothing store, and plenty of bathroom facilities. The Beach side of the boardwalk has all kinds of games. Uses Store Stuff. I have all EPs and SPs. If you don’t have Seasons the Boardwalk will be much emptier and quieter. 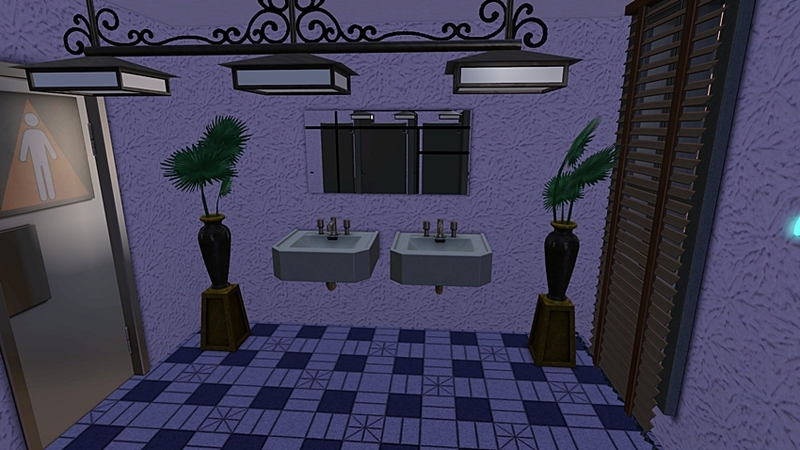 Try downloading the Unfurnished Version and turn it into either apartments, or whatever kind of community lots you have the EP’s for. This 4 BR, 3 BA Beach house has room for a multi-generational family. The exact composition of the family is up to you! 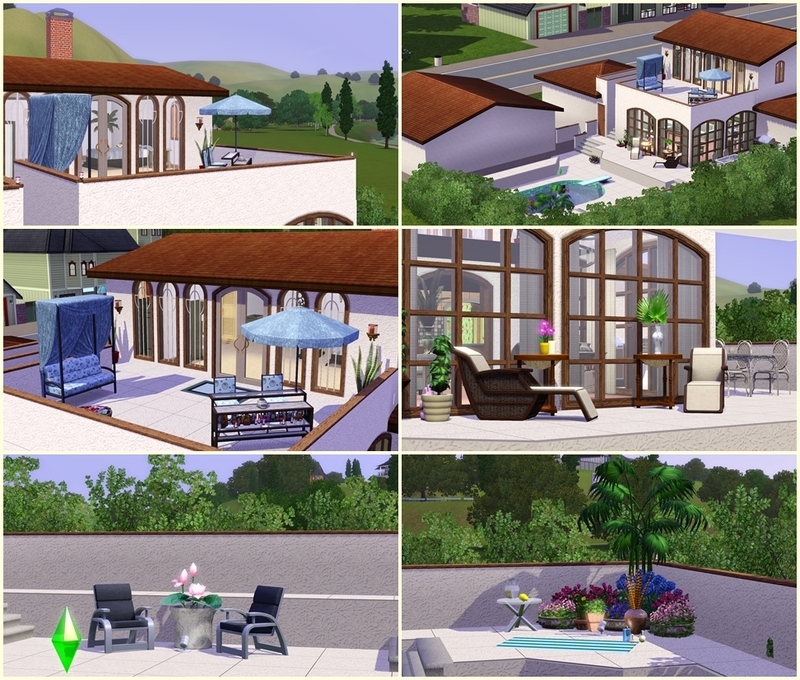 It is a 20 x30 lot, made for the rear to face the beach, and uses no store content. I have all EP’s and SP’s. 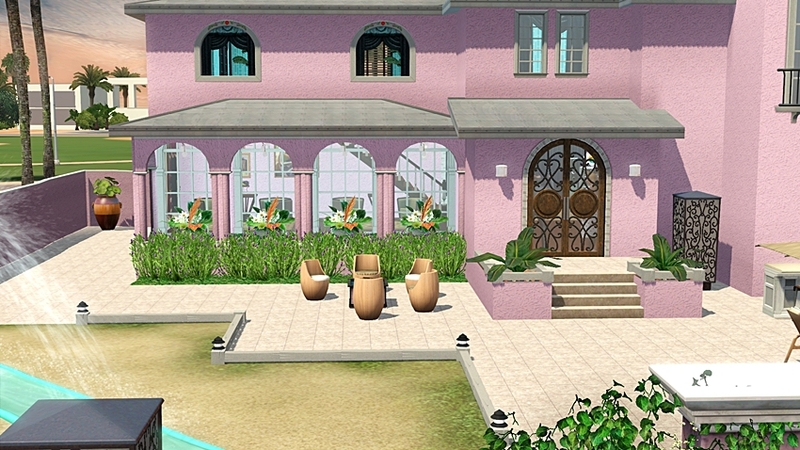 MizzRoseBud at N99 is building a great new medium sized world with lots of beaches. It will be perfect for Island Adventures! So, I have built a beach house just for her world, Oak Island. This 2 BR 3 BA house has a huge open living room for entertaining and lots of outdoor space and activities. I have all EP’s and SP’s, but there is no Store stuff on this lot. 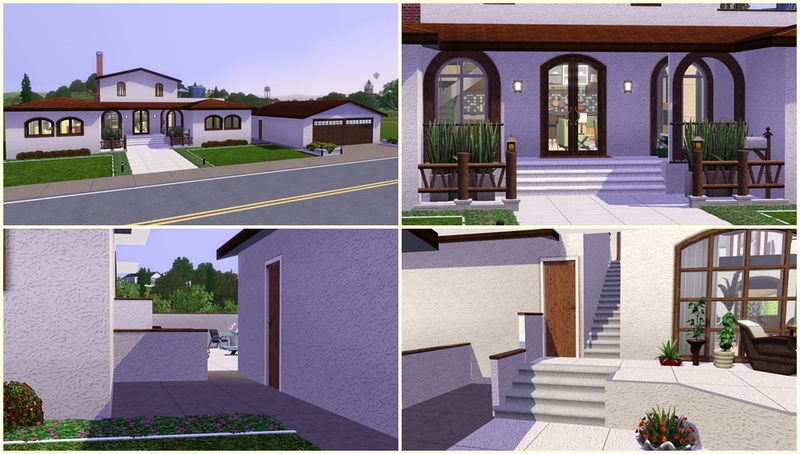 I wanted to try building modern, but the closest I could get was this contemporary Spanish Colonial. 3 BR; 3 BA; Great Room; formal LR; Laundry and outdoor pool area. Bonus upstairs balcony off the master suite. 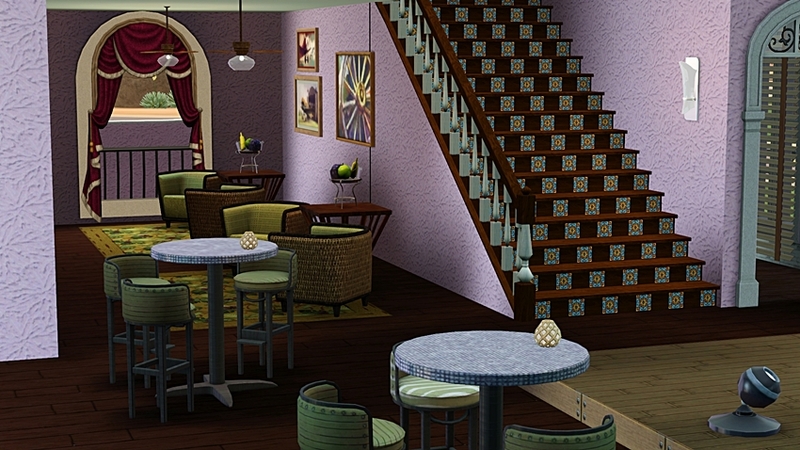 Bar upstairs and downstairs because your sim is going to need to it when they get the bills for this place. Lot is residential, no third party cc. May contain store stuff. I have all EPs and XPs. 30X30. No cc. I have all the EPs and Stuff Packs. Contains some store stuff. 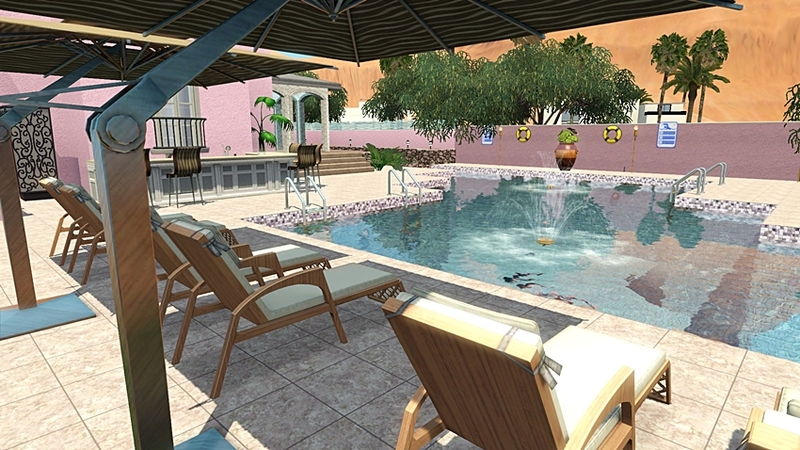 The 40 x 40 Par 10 Poolside Club was made to fit into the golf course area of Lucky Palms. You will have to rezone the lot to community to place it. You may prefer to rezone the lot to a pool if you want to use it during the day. 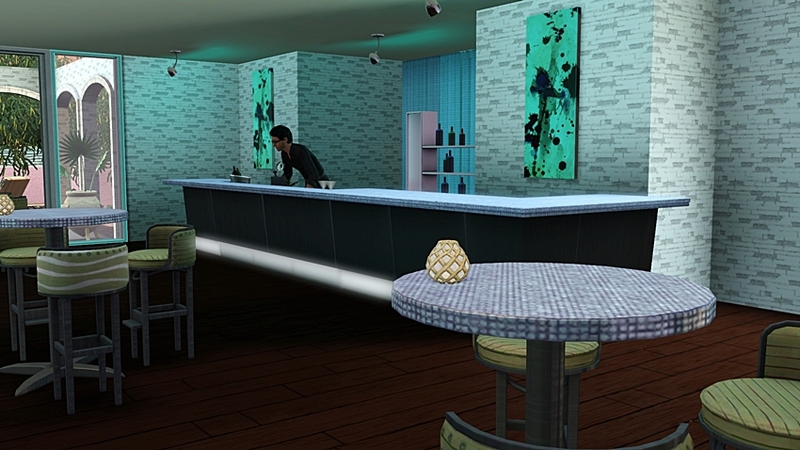 Has 2 late night bars, a karaoke machine and a DJ Booth. Download Here.